Before I enter the medical billing field here in northern New York, I am in St. Lawrence county. Should I call around and see what doctors here are doing about their billing or just go for it? It would be an excellent idea to gauge the potential market in your area. The biggest challenge I think you would have is your location in northern New York and the proximity to many physicians. I really wouldn’t suggest diving in without there being many likely clients in your area. If most of the physicians in your town (or nearby towns) are affiliated with a large group or hospital, it’s harder because they usually have a centralized billing office or use a larger billing service. I’ll be honest, one of the biggest challenges in starting a medical billing service is getting your first client. Your best bet when starting out is with a solo doctor who is building their practice. That way you can grow slowly with the practice and learn all the stuff thats not taught in books. If you take on a large billing practice and you haven’t done that before, it can be overwhelming and lead to a situation where you are over your head. 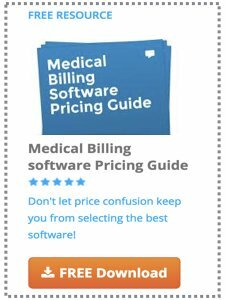 The company that writes the books we have linked on our medical billing books page - Solutions Medical Billing - has a successful billing business just south of you in Rome NY. So I know there is a need for billing services in mid New York. I noticed you are not too far from Ottawa and Montreal which are certainly have large populations along with health care providers to serve them. But I’m not sure what billing in Canada involves or if they have a system for submitting claims similar to the U. S.
Thanks for visiting the site and best of luck in the career path you choose.